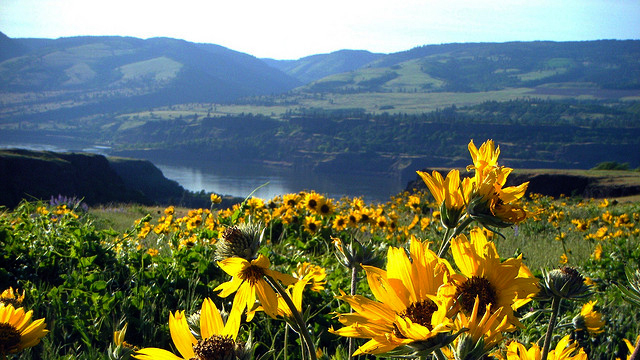 Discover your next adventure in the Columbia River Gorge! Situated at the crossroads of the Columbia River and the Cascade Mountain range, The Gorge offers a large variety of recreational activities all year round. Spring and summer bring enthusiasts from all over for world class windsurfing, kayaking, sailing and fishing in the cool waters of the Columbia River and its tributaries. Winter recreation includes skiing, snowshoeing and snowmobiling on Mt. Hood in Oregon or Mt. Adams in Washington. Biking through the ancient forests and hiking past waterfalls, lakes and breathtaking mountain scenery is a favorite pastime throughout the year. The Pacific Northwest is renowned for microbrews. Columbia Gorge brewpubs are among the best. Visit a local winery for a tasting adventure. The Columbia Gorge area produces world-class wines. Art and culture are ever present in the inhabitants of the Columbia River Gorge. People of all ages and interests will find delight in theater productions, art museums and galleries, historic exhibits or a scenic railroad tour. Fruits, wine, lavender, alpacas and family activities are found in the area year round. In a place that thrives through agriculture, it’s easy to create your own Farm Experience! Coming for an extended stay? A working vacation? Looking for activities for your kids while you enjoy your own recreation? Coordinate your vacation with Let’s Get Out summer day camps run through Hood River Community Education. Fun outdoor activities for kids during the day, then everyone can be home together for dinner.